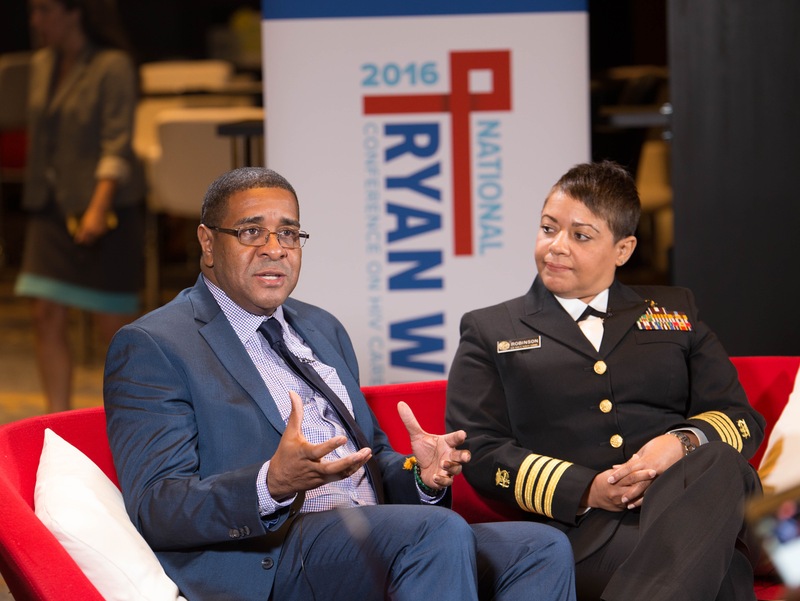 Federal HIV leaders from HRSA’s HIV/AIDS Bureau (HRSA/HAB) joined us to share highlights with us on Thursday, August 25, the third day of the 2016 National Ryan White Conference on HIV Care and Treatment . HRSA’s Antigone Dempsey chatted with Douglas Brooks about the importance of public leadership by people living with HIV in our national response. Antigone is the Director of Policy and Data at HRSA/HAB and Douglas is the former Director of the White House Office of National AIDS Policy and now serves as Senior Director of Community Engagement at Gilead Sciences. They discussed the National HIV/AIDS Strategy’s call to promote public leadership of people living with HIV as one of the key recommended actions to reduce HIV-related stigma and discrimination. They also touched on a related new HRSA/HAB initiative as well as the issues of disclosure and mentorship. Watch their video here . HRSA’s Harold Phillips and Letitia Robinson spoke about the critical role of stable housing in supporting health outcomes for people living with HIV. Harold is the Director of HRSA/HAB’s Office of Training and Capacity Development and Letitia serves as a Special Advisor in the Bureau. They spoke about a number of topics under discussion at the conference, including the impact of stable housing on HIV care outcomes and a recent HRSA policy notice. You can view their videos and more coverage from the 2016 Ryan White Conference on HIV.gov's Facebook page.